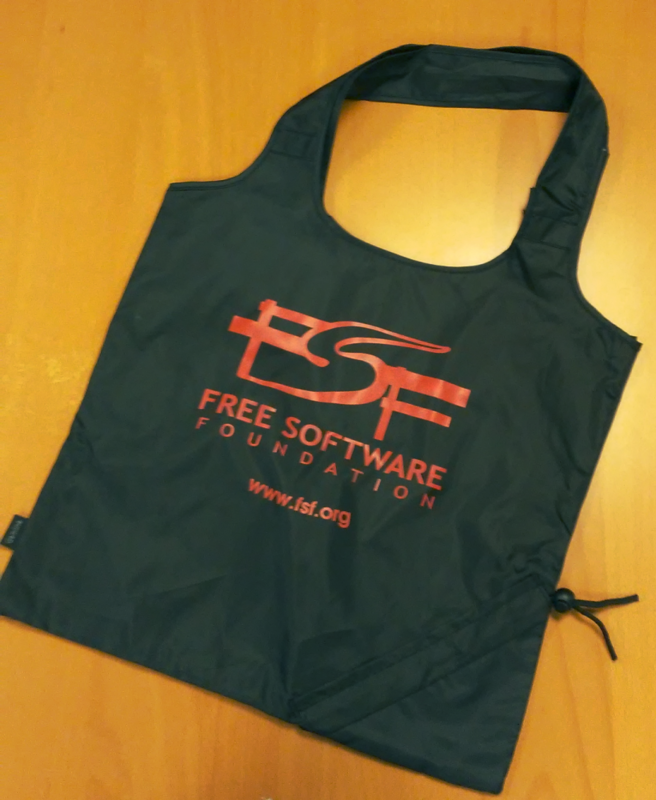 For many a year the most prestigious nonprofits out there have spread their message via the medium of the printed tote bag and now the FSF is no exception! This handy little bag is made of durable and lightweight 210D polyester - reliable enough to carry two of your laptops and a couple books besides, strong and capacitous enough for plenty of groceries, several six-packs, more than you think! 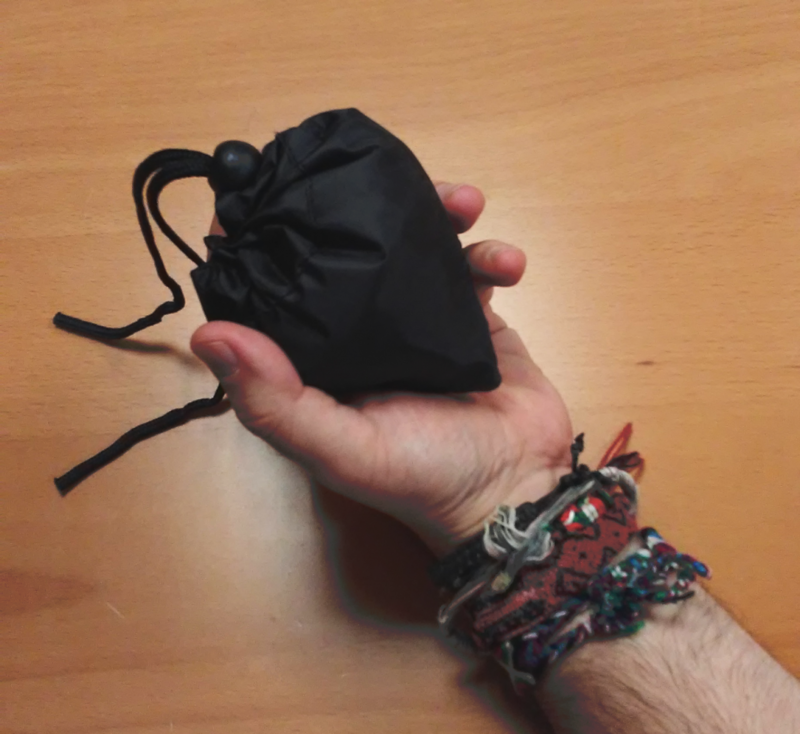 The bag folds in on itself - in one corner is a drawstring that holds the whole construction in a shape no larger than a baseball or a healthy turnip. Carry two of them around and never worry that your impromptu shopping sprees will spread more of those loathsome plastic shopping bags around. Not only will you spare everyone some pollution, you will spread the message of free software everywhere you go (as long as you are carrying stuff)! Size reference: The bag is modeled here by FSF Web Developer Andrew, whose height is 182cm.